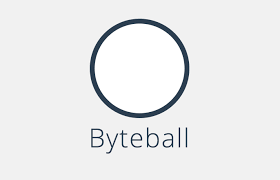 Byteball is a decentralized system that allows tamper proof storage of arbitrary data, including data that represents transferrable value such as currencies, property titles, debt, shares, etc. Storage units are linked to each other such that each storage unit includes one or more hashes of earlier storage units, which serves both to confirm earlier units and establish their partial order. The set of links among units forms a DAG (directed acyclic graph). There is no single central entity that manages or coordinates admission of new units into the database, everyone is allowed to add a new unit provided that he signs it and pays a fee equal to the size of added data in bytes. The fee is collected by other users who later confirm the newly added unit by including its hash within their own units. As new units are added, each earlier unit receives more and more confirmations by later units that include its hash, directly or indirectly. There is an internal currency called ‘bytes’ that is used to pay for adding data into the decentralized database. Other currencies (assets) can also be freely issued by anyone to represent property rights, debt, shares, etc. Users can send both bytes and other currencies to each other to pay for goods/services or to exchange one currency for another; the transactions that move the value are added to the database as storage units. If two transactions try to spend the same output (double-spend) and there is no partial order between them, both are allowed into the database but only the one that comes earlier in the total order is deemed valid. Total order is established by selecting a single chain on the DAG (the main chain) that is attracted to units signed by known users called witnesses. A unit whose hash is included earlier on the main chain is deemed earlier on the total order. Users choose the witnesses by naming the user-trusted witnesses in every storage unit. Witnesses are reputable users with real-world identities, and users who name them expect them to never try to double-spend. As long as the majority of witnesses behave as expected, all double-spend attempts are detected in time and marked as such. As witnesses-authored units accumulate after a user’s unit, there are deterministic (not probabilistic) criteria when the total order of the user’s unit is considered final. Users store their funds on addresses that may require more than one signature to spend (multisig). Spending may also require other conditions to be met, including conditions that are evaluated by looking for specific data posted to the database by other users (oracles). Users can also issue assets whose transfers are not published to the database, and therefore not visible to third parties. Instead, the information about the transfer is exchanged privately between users, and only a hash of the transaction and a spend proof (to prevent double-spends) are published to the database.